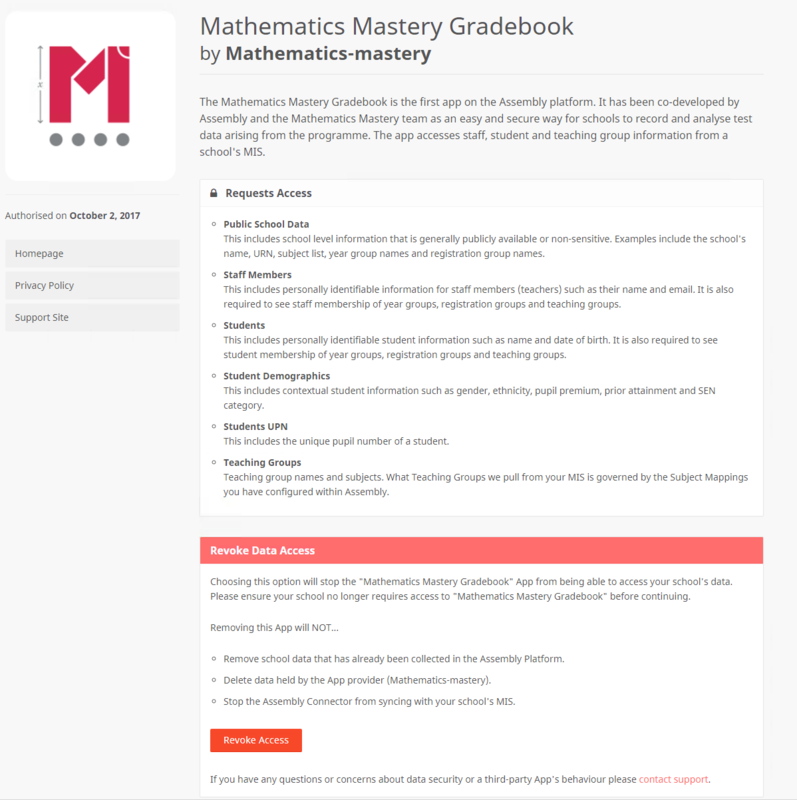 Sign in to the Platform and navigate to the Apps section, then locate and click on the App that you want to stop accessing your school data (for example, the Mathematics Mastery Gradebook App). Click on the Revoke Access button. 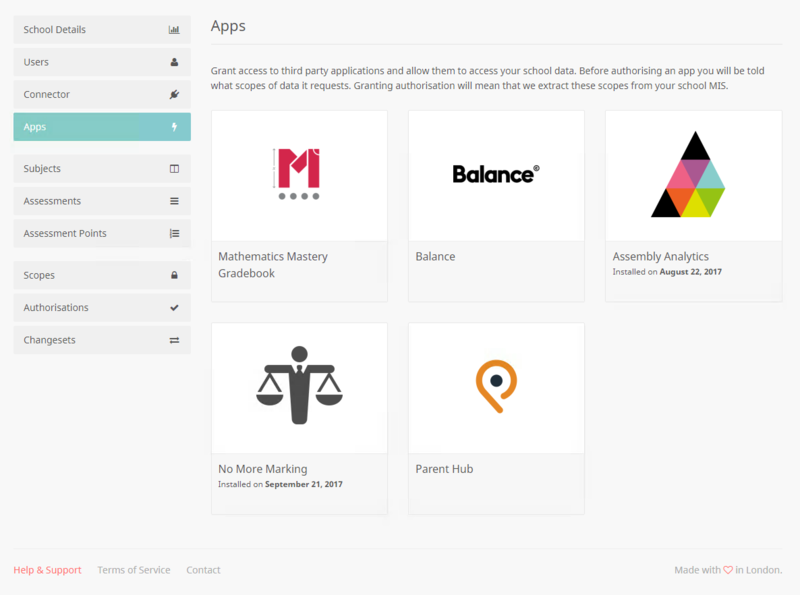 Confirm that you wish to stop the app from accessing your school's data. Once you have revoked access you will return to the Apps section and you should see an Authorise Access button instead of a Revoke Access button, confirming that you have stopped sharing data with the App. You will then be returned to the Apps page where the authorised message will no longer appear under the App. 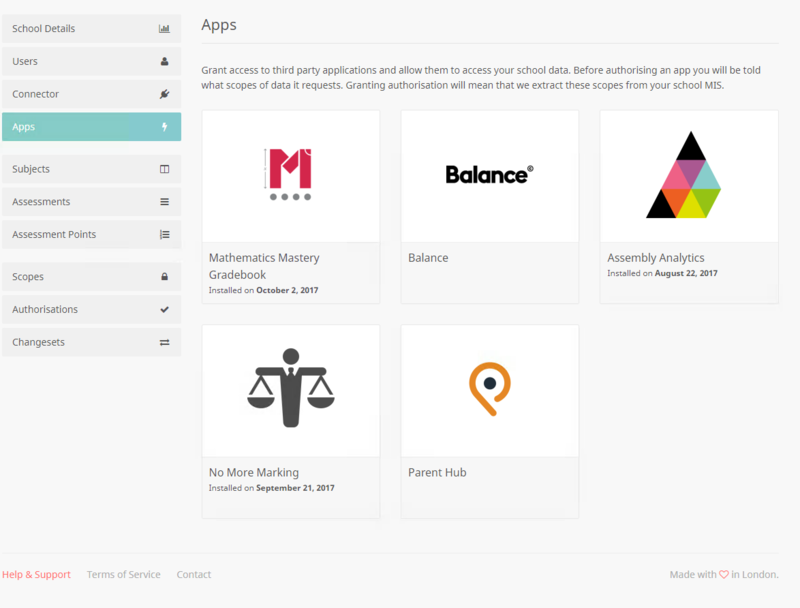 You can also check the Authorisations tab which shows the authorisations and revocation logs for all apps.